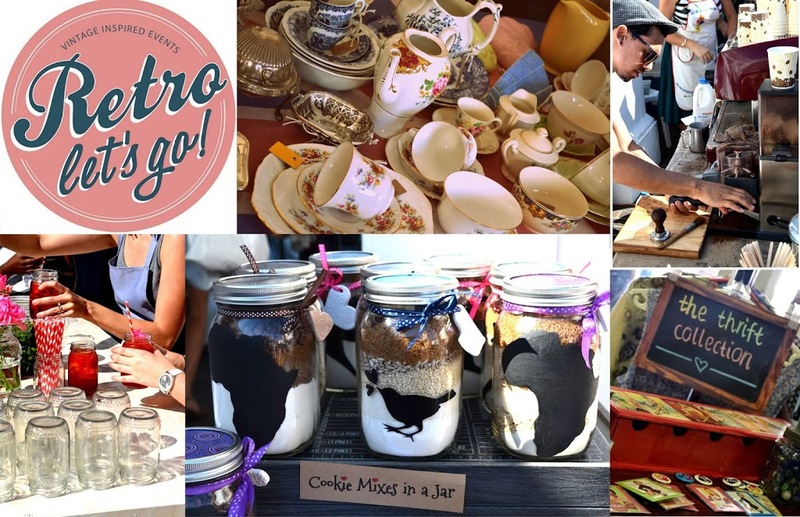 This morning I coaxed Paul into coming with me to the Retro Let’s Go Vintage Market at the DLI (Durban Light Infantry) Hall. I knew a few friends who were selling their goods there, namely The Thrift Collection and Cookie Loving, so I had to go spend my Saturday morning perusing the delightful vintage fair. How did I get Paul to join me? Bean Green had a coffee stand there, and he was sold. Besides from being ridiculously hot, the market was a pleasant mix of vintage clothing, cutlery, crockery, stationary, vinyl records, and all sorts of foodie treats. Paul and I went straight for the coffee, although the lemonade stand and ice tea vendor on either side made it a difficult choice. We strolled around taking pictures, and enjoying the artisan vibe.